For a man who has spent his political career being hailed as "one of the good guys", he sure doesn't seem to mind if American citizens die without healthcare. John McCain’s political legacy just became even more complicated. Despite his recent brain cancer diagnosis, the Arizona senator flew back to Washington, D.C. and voted to proceed with the repeal of the Affordable Care Act, a move that will leave millions of Americans uninsured. This newfound rage is an especially jarring sight after the outpouring of support for McCain and his family from all directions after news of his successful surgery, in which a tumor was removed from his brain, and subsequent diagnosis broke. Politicians and celebrities alike wished McCain a speedy recovery, and gushed about their respect for him. You are beloved @SenJohnMcCain and it's a beautiful thing to see. Many issued tweets praising McCain for the bravery, patriotism, and strength he showed throughout his career as a naval officer and politician. Others scolded people for criticizing McCain’s politics or joking about the senator’s diagnosis. I pray that those wishing ill on John McCain never have to experience cancer as a patient or a family member. But news that McCain would return to D.C. to vote on the latest issue in the American healthcare debate erased much of the goodwill that his illness garnered for him among political opponents. And the fact that he voted to move forward with repealing the Affordable Care Act only made matters worse. The fact that McCain will continue to receive taxpayer-funded treatment for his cancer despite voting to take that option away from America’s middle and lower class typifies the hypocrisy that runs through the center of the healthcare debate. Some people continued to defend McCain, citing the speech he delivered before cast his vote, in which he declared he “will not vote for this bill as it is today,” offering a glimmer of hope that the Republicans will have to produce a better healthcare plan, or, you know, any healthcare plan in order to own McCain’s vote. Remember, McConnell has 0 margin for error, so if McCain lives up to his words on the underlying legislation, it's dead. But that's an "if"
Others mourned the lack of civility in the discourse in general. Inverse attempted to find high profile Twitter users supporting McCain’s vote, but even those who support the ACA’s repeal seemed turned off by McCain’s speech. 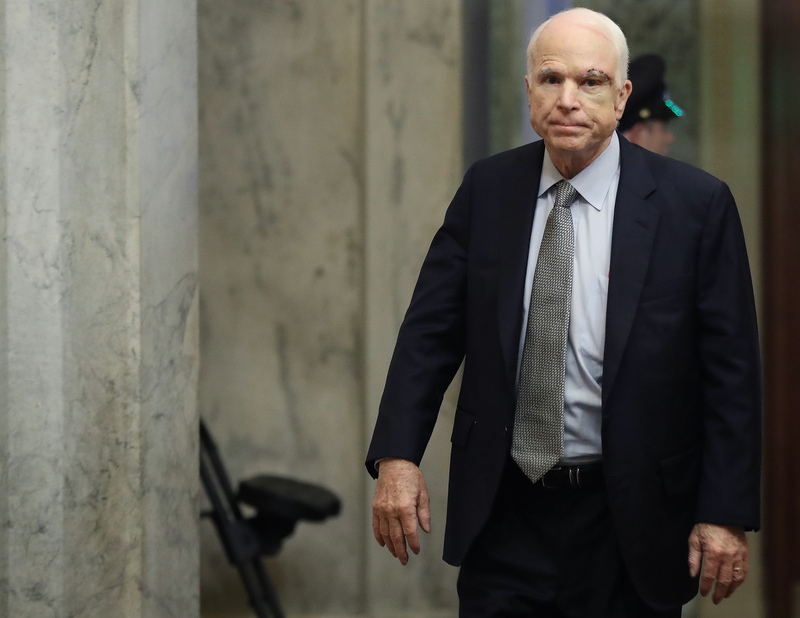 The process of repealing the Affordable Care Act has just started, but the fact of the matter is that John McCain’s political career is likely winding down. The type of tumor removed from McCain’s brain, a primary glioblastoma, has a median survival rate of 14.6 months according to the American Brain Tumor Association, and serious health issues aside, McCain turns 81 in August. McCain will never face another election. Never gain or lose a committee chairmanship. What he does now tells you who he really is. McCain’s stance on the issue of healthcare will permanently alter the way history perceives him, and may bring an end to the untouchable mythos of the Honorable Republican Senator from Arizona.